On the current tour to promote their recent album release The Subways’ drummer Josh has been struggling with debilitating stage fright brought on by his battle with Aspergers Syndrome. This is something that he has struggled with in the past but it has recently become significantly worse. The band have made the hard decision that Josh is to take a leave of absence for the near future to get professional advice to get him back on stage and rocking as soon as possible. In his absence the band have asked a professional drummer and close friend to temporarily step in to keep the show on the road. The first show where this change will take affect will be in Dresden on 17th February. Billy, Charlotte, management, crew and the whole Subways family wish Josh a speedy return and will be working hard to achieve this. More information on Aspergers Syndrome HERE! 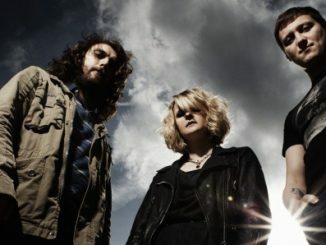 EXCLUSIVE STREAM: SELF TITLED ALBUM FROM ‘THE SUBWAYS’ HERE!